On Wednesday night, President Donald Trump announced that his administration will rescind the edict by former President Barack Obama, which mandated that public schools stop designating separate restrooms exclusively for boys and girls. Obama’s regulations also prohibited public schools from providing individual accommodations for transgender students, as they have always done. President Trump is right that this is a state issue. That is why Senator Lois Kolkhorst, R-Brenham, and I have crafted a state policy — the Texas Privacy Act (Senate Bill 6) which reflects Texas values and Texas principles. The Texas Privacy Act ensures that public schools continue to designate separate restrooms, locker rooms and showers for boys and girls. It also protects businesses from being forced by local government to change their restroom, shower or locker room policies and ensures that government buildings will maintain separate restrooms, showers and locker rooms for men and women. I spoke with Jason Whitely on WFAA’s Inside Texas Politics in Dallas about President Trump’s decision and the Texas Privacy Act. You can watch the clip below. 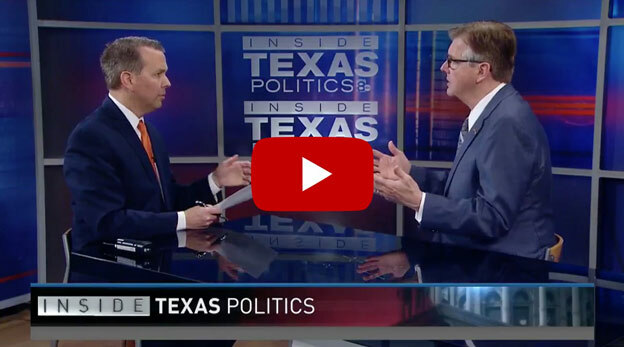 Share my interview with WFAA’s Inside Texas Politics on Facebook here. I also discussed this issue and other work going on in the Legislature on the Trey Ware show in San Antonio last week. Listen to the full interview below. Last week, Senate Bill 5 – Voter ID – was filed by Senator Joan Huffman, R-Houston. Nothing is more critical to our democracy than the integrity of the voting process. That’s why I have fought for voter ID since my days as a state senator. Citizens must be able to trust the certified outcome of every election and we must protect the voting rights of every eligible voter in Texas. 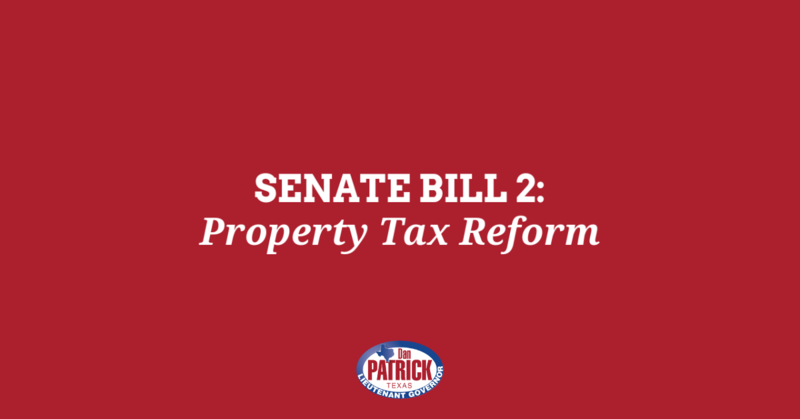 Read my full statement on Senate Bill 5 here. 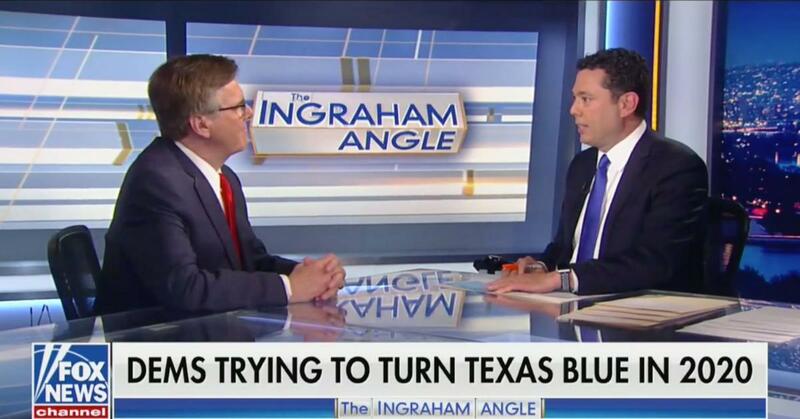 We are continuing to work hard in the Texas Senate to do what you elected us to do and expand and preserve the conservative values Texas was built on. Dan Patrick was elected Lt. Governor of Texas in 2014, winning the general election by almost 20 points. A preeminent voice for principled conservative policies both in Texas and across the nation, Lt. Gov. 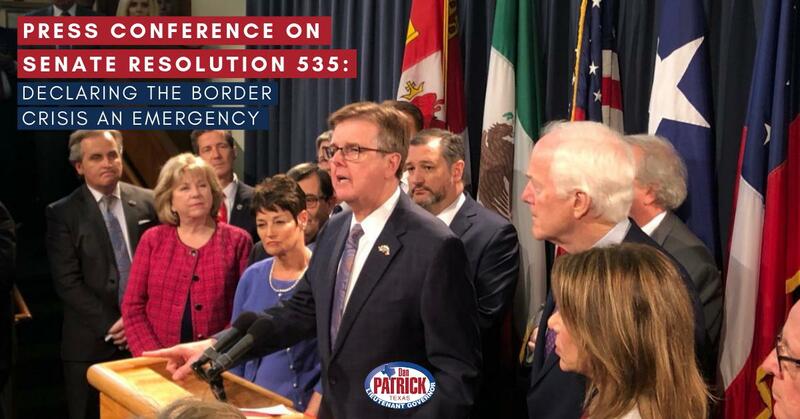 Patrick is leading the fight for life and liberty in Texas by securing the border, reducing property and business taxes, standing up for the Second Amendment, and addressing Texas’ infrastructure challenges to assure that our state continues to flourish economically.